What is the Comprehensive Transportation Plan? Welcome! The Comprehensive Transportation Plan is the CRTPO’s multi-modal strategy to identify transportation system improvements necessary to meet future mobility demands. The CTP represents our long-term vision for how the transportation network should evolve to serve residents and employers. 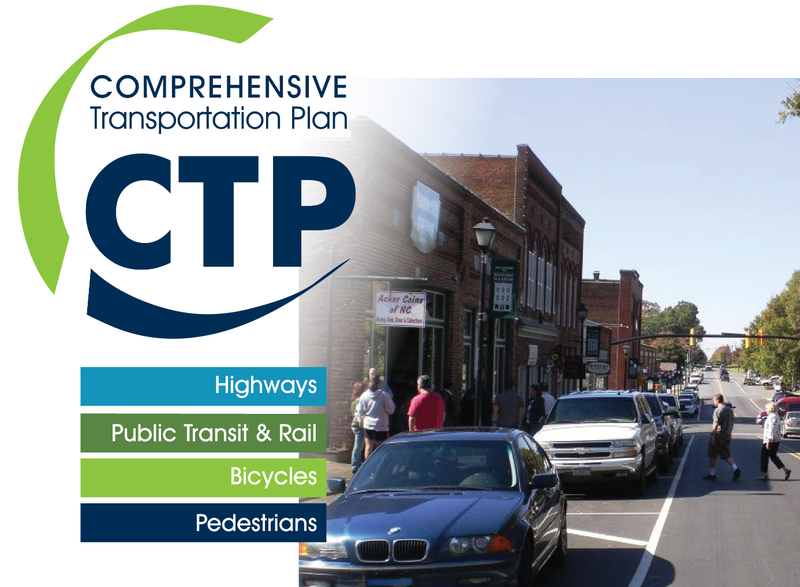 The CTP includes four transportation modes: highways and streets; public transportation and rail; bicycle; pedestrian. It assesses the condition of the entire network and serves as a framework for transportation planning efforts at the local and regional scale. The CTP does not include specific projects or improvement schedules, but instead represents the status of the network that may be required to support anticipated growth. The information presented throughout this webpage will assist you in gaining a better understanding of the CTP, its various components, and how it will be used to improve mobility in the region. Please view the 'What is the Comprehensive Transportation Plan' video by clicking on the YouTube video below.